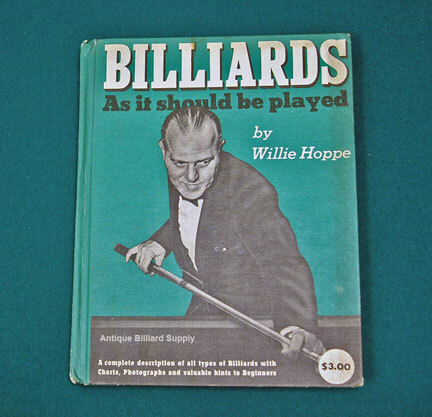 #12-09 This Willie Hoppe book was one of the first instructional works by the great players of the 1900s. Published in 1941, it includes 96 diagrams and 37 high-quality photographs that illustrate his techniques. His explanation of the diamond system provided insight that had been previously unavailable to the general public. 78 pages, about 8 inches wide, 11 inches tall. Hard cover (as shown) $70, soft cover (not shown) $35.